This has a full on blade design weaving with another blade design, all done in chrome paint with metallic flake along with beveled edges and drop shadows for extra added depth. 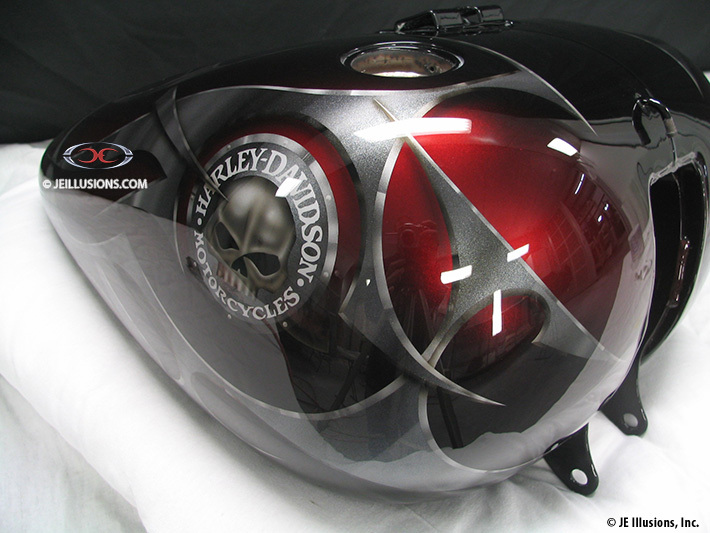 Part of the blade design runs across the custom Harley-Davidson air-brushed skull logo located on each side of the tank. 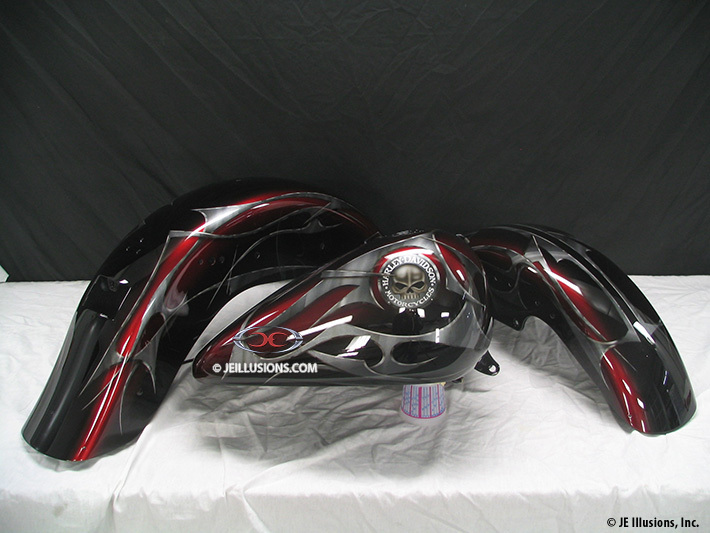 The blade design runs through the entire paint design and sits on top of a jet black under-base that fades into kandy red and then fades back into black again.